A power outage had damaged the NAS and corrupted the RAID data. Emergency Service – Data was recovered successfully with 12 hours. 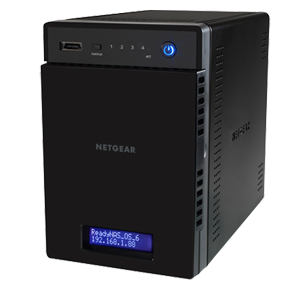 NAS (Network Attached Storage) devices are very popular with businesses as they offer large quantities of storage capacity with the safety of a RAID 5 setup. Data loss on NAS systems is often caused by one of the hard drives in the NAS going faulty, but in a RAID 5 system, one drive can crash and the RAID will continue working without any data loss. This is one of the reasons why RAID 5 is one of the most popular types of server storage topologies in use today. In this instance the client’s NAS had suffered a power outage. After power to the client’s site had been restored, the NAS would not boot up correctly and it was not possible to access the data held on it. Once the NAS was delivered to the Data Clinic lab, diagnosis identified faults to the NAS casing and corruption to 2 of the hard drives inside the NAS. This had led to a general corruption in the RAID 5. To recover the data it was necessary to get 3 of the 4 drives back into a working state so they could read and the data on them pieced back together using Netgear NAS RAID 5 configuration.